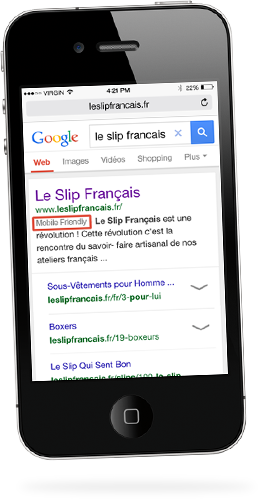 From April 21st, the mobile friendliness of a website will be a ranking factor in mobile search results. Shoperize is the fastest, most efficient & cheapest way to be prepared: don’t take the risk of being removed from the Google results! 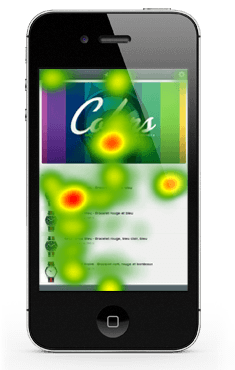 Shoperize has been designed based on tests using Eye-Tracking technology in order to reach a very high level of user experience and efficiency. Shoperize design's inspiration also comes from the study of social media and other highly used mobile interfaces in order to create a very easy and simple way to buy products using your mobile. Compatible with every mobile device thanks to the power of the latest web technologies. 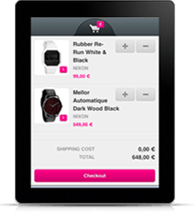 Shoperize allows you to easily browse any eCommerce site on tablets or smartphones through responsive designed interfaces, and compatible with any size or screen resolution either on Android, iOS or even Windows mobile phone. 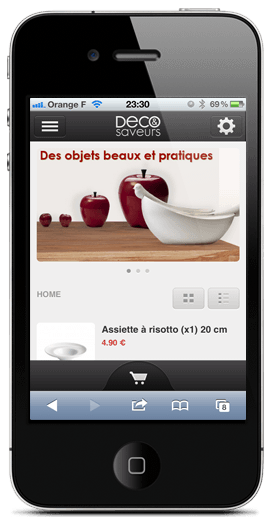 Discover a brand new M-Commerce experience with Shoperize. 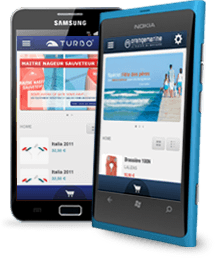 Fast, ergonomic, simple & efficient, you can now have your eCommerce business accessible on mobile phones & tablets in order to increase your sales and conversion rate. 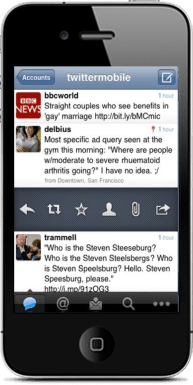 A visual intelligence based on the study of social media interfaces. A simple and efficient buying process increasing your conversion rate and Mobile sales. 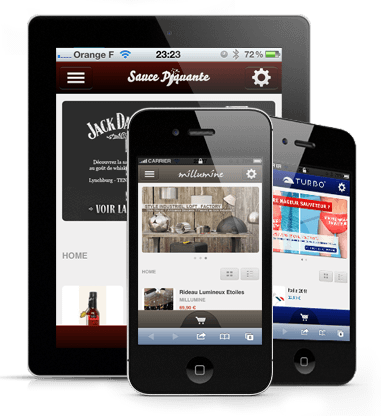 Keep the ease of use and design of your merchant website on mobile devices by personalizing your version of Shoperize. Select parts or your entire eCommerce catalog, emphasizing your latest offers and promotions. Manage your stores. 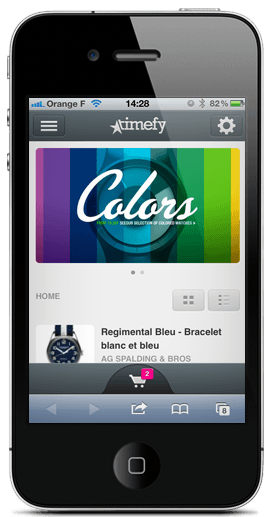 Choose from an infinite numbers of colors and styles for your mobile site. 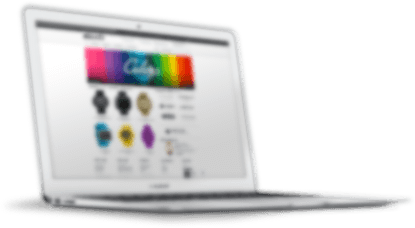 Shoperize allows you to control your eCommerce website easily and transparently, either directly on your site or in SAAS mode. Why a WEB APP ? The latest web technologies are rapid and efficient, just like native applications, but compatible with every tablet and smartphone. They avoid the inconvenience of passing through a mobile market place. Web apps are an easier experience for the user and guarantee a higher conversion rate. 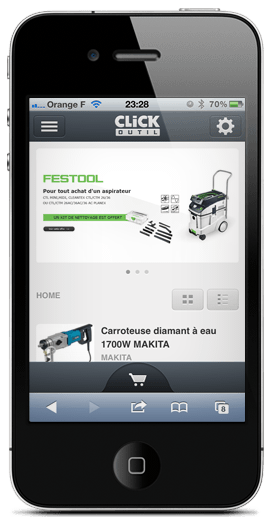 No installation required by the user to access the mobile version of the merchant's site. Access to the website's catalog is direct and automatic with a user-friendly interface. 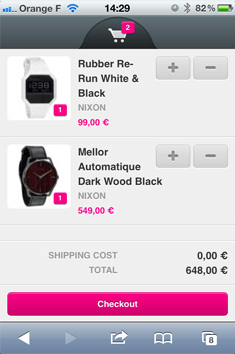 Directly on your site or in SAAS mode, Shoperize is automatically updated with no impact on your users. The updated version appears on their next visit. No downloading, no waiting. 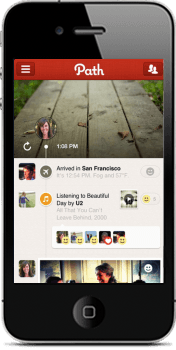 the web app to native iOS and Android applications. Many eCommerce businesses are already using Shoperize, prepared and excited for the upcoming holiday sales season. Discover below examples of companies already benefiting from Shoperize. Join us and increase your mobile sales! 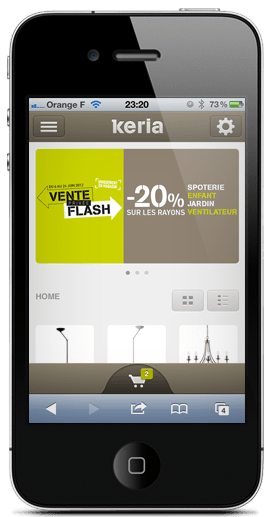 Number 1 retailer for lighting and lighting fixtures in France, Keria decided to use Shoperize for its Mobile presence. The main priority for Keria was to be accessible on mobiles + tablets, decrease the bounce rate, and gain new customers. Click outil sells quality tools to businesses and customers. 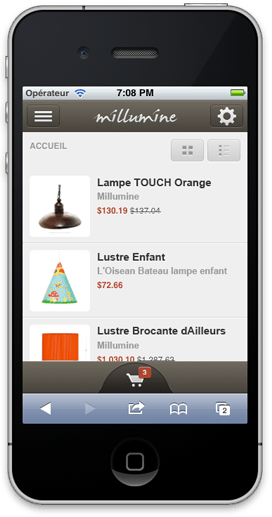 They selected Shoperize in order to boost their Mobile traffic. They experienced a 15% increase in traffic since the implementation of Shoperize. Smart fusion of a blog and a webstore, this classy website selling watches picked Shoperize in order to offer a user-friendly interface to its customers browsing Timefy on mobiles. Millumine is a lighting online retailer which adopted Shoperize for its efficiency and ease of use. You can now browse the Millumine webstore on your mobile and easily find the products you are looking for! Deco & Saveurs is selling interior design accessories online. 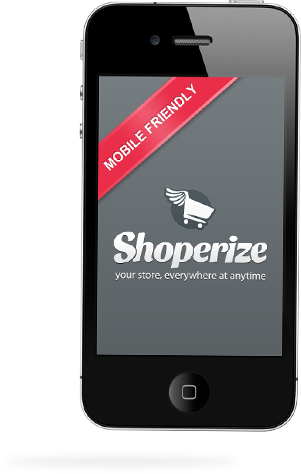 They selected Shoperize to be accessible on mobiles & tablets. They are noticing an increase in the conversion rate. Mobile and tablet accessories specialist, Everything4Mobile offers a wide range of products that will make your devices cooler! 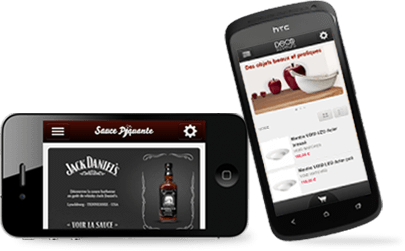 It was therefore more than natural for this company to select a fast and user-friendly solution such as Shoperize for their M-Commerce strategy. Turbo France sells high-tech swim suits for athletes. They were looking for a solution with very safe payment features such as Shoperize. Their team decided to go for it and their sales increased by 10% thanks to Paypal Checkout. 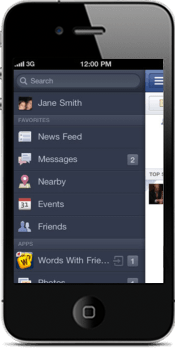 The increasing number of people browsing on mobiles and tablets creates a need to adapt interfaces to this type of users. More and more people are buying online using their mobile.  M-Commerce revenue is significantly increasing year after year. In 2015, it is estimated that 8% of all online purchases will be made using a mobile device. 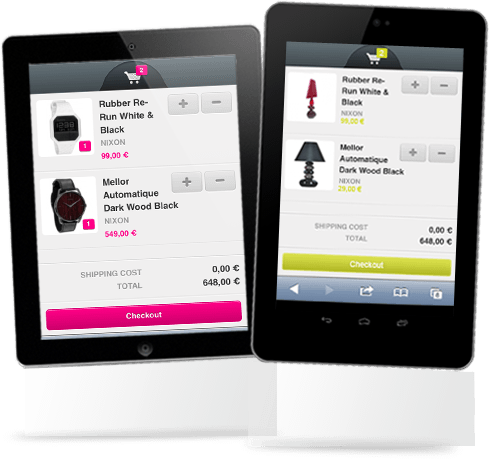 The number of mobile e-buyers also is drastically increasing, even faster than the number of traditional e-buyers. Impulsive purchases are easier to make on mobiles and tablets: they represent 80% of all transactions! The average shopping cart on mobiles and tablets is 20% higher than traditional eCommerce purchases. Shoperize your ecommerce ! Shoperize your ecommerce ! ! Sign up for our newsletter to be among the first to hear about what's new with Shoperize!